Let's face it: Social Engineering isn't just about email phishing. You need more than just YouTube walkthroughs of the Social Engineer's Toolkit (SET). This Social Engineering Expert course is designed as a comprehensive course to teach you how to create and carry out Social Engineering Operations with precision and accuracy, no matter what your background. From the Overview to Micro Expressions and Physical Pretexting to Surveillance, start or bolster your IT Security career here. This course has been developed by Jeremiah Talamantes, author of The Social Engineer's Playbook, adjunct professor at Norwich University and CEO of RedTeam Security. Jeremiah is the Founder and President of RedTeam Security -- a boutique information security firm specializing in Social Engineering, Penetration Testing, Physical Intrusion Operations and Red Teaming. 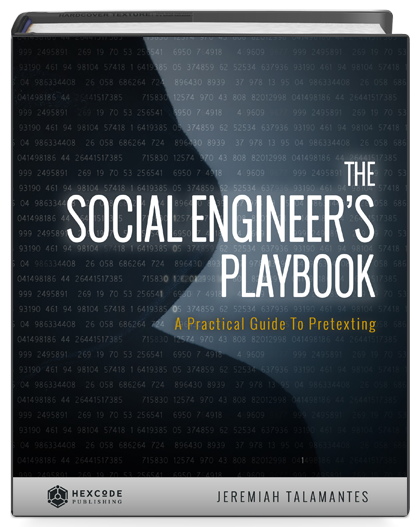 He has been in IT Security for nearly 20 years and is the author of The Social Engineer’s Playbook: A Practical Guide to Pretexting. Jeremiah has a master’s degree in Information Security & Assurance and an executive business education from the University of Notre Dame, Mendoza School of Business. He is an Adjunct Professor at Norwich University, College of Graduate Studies in Information Security & Assurance. He is a CISSP, CCISO, CEH, CHFI and CCENT.